This article from CNet notes that Adobe rolled out their brand-new Photoshop Express feature on March 27th. It's seen as a direct response to Google's Picasa application. This is a beta version, so there are likely bugs & hassles in there somewhere. CNet offers a fuller review of Express, in case you want more information before taking the plunge. Starting a small business is complicated, but keeping it out of the red can be even more challenging. The stress that some small business owners must experience over continually trying to keep a business afloat opposed to 'folding' must be immense. When I stumbled across the article "When to hold 'em, when to fold 'em" in the Toronto Star, I was struck by how useful some of the tips could be to our clients. Better for Business: LinkedIn, or Facebook? On Monday, I got a notice from an old college friend via Facebook. Yesterday, I received a request from someone to connect to my LinkedIn account. Today, I read an article from Computerworld on which of these sites was better for business. Call it karma. LinkedIn has always been designed as a networking site solely for interaction among those in business. Facebook originated as a networking site amongst those with college or university email addresses. However, it is being adapted more and more by those in the labor force as a means of finding better opportunities, contract employees, and so forth. The article presents six scenarios, and asked separate writers to argue the merits of one versus the other in that situation. Needless to say, the article doesn't provide an answer to the question of "Which is better?" (unless you consider "It depends" as a worthwhile conclusion). I only dabble at both, but I can certainly see why people get hooked on these sites. I've been enjoying the free language learning podcasts available on itunes. I've been focusing on French and Danish. At the end of the Coffee Break French, the instructors encourage posting comments on itunes, which led me back to the site and I thought: before I post a comment I should listen to a language I do not know so well to see how manageable I found it. So I wandered over to Coffee Break Spanish and I can say that I think the program is great value for money. They offer free lessons with inexpensive add-on materials if you choose to use it. The instructor is a friendly Scottish guy who has a great accent in both French and Spanish and I think he leads other languages. The lessons are about 15 to 20 minutes long and very manageable. So, for those who have an MP3 player, this is a painless way to add some language skills to your day. Some of the other offerings on the Radio Lingua site are OneMinute Polish or Irish or Russian and MyDailyPhrase:Italian or German among others. "They're smart, they're aggressive and their services are free." Thus starts a really great article about the Niagara SBDC in the Spring 2008 issue of Niagara Business. Not only are the services of the Niagara SBDC pretty great, but the staff looks pretty great (and tough) in the cover photo of this issue. But the best part? Rick Gorko is kind enough to highlight research services! "We have librarians there who are paid to do research so the client doesn't have to spend hours or days in front of a computer trying to find out information we already have access to." Thanks for the shout out Rick! We'll do our best to keep saving the clients' time. The state Tax Department has recently made available a new easy-to-use online NAICS Code Lookup service to locate North American Industry Classification System (NAICS) code for sales tax registration. "An accurate NAICS code will help us provide you with the sales tax returns, schedules, and other sales tax information specific to your type of business." 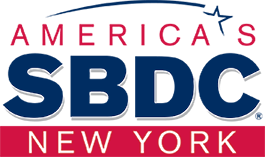 It can also be useful for SBDC advisors who are entering records into various electronic databases. Since this is my first week officially working for the SBDC RN and I am no longer the intern, I would like to introduce myself and give a little background on my education and interests. I hold a Bachelor’s of Science in Psychology and Criminal Justice from Elmira College. After graduating in June 2003, I moved around the country and spent time living in Arizona and Georgia. After returning to New York, I started my Master’s in Information Studies at SUNY Albany in January 2006 and graduated this past December. On a personal note, I enjoy reading (surprise! ), cooking, traveling, watching movies, and gardening. I look forward to working with all of the regional offices. Please feel free to contact me for any reason. My work keeps me in one place but even between work and home, I like the flexibility that web applications allow. I was frustrated by the tempermental ways of my ISP mail account so I stick with Gmail knowing I can always get to it. Sync your calendars with Yahoo! or Google, share documents and speadsheets with Google, and you are pretty much set to do most things wherever you are. With online storage available and even remote access to your PC, the business-owner is rarely helpless. I find it much easier to upload photos onto Snapfish or Flickr in order to share them with family, then to send them any other way. We will see more and more applications we know from their desk-top versions moving to the web. Combinations of these tools will create the project management software in the future. It pays to check these things out because in many cases they are free to use. For anyone, the price is right. If you have anything to do with online advertising, here are a couple of recent pieces that may cause you to rethink the subject. It starts with a report from Ad Age, Think Different: Maybe the Web's Not a Place to Stick Your Ads . It turns out that internet users are pretty good at ignoring banner ads, and as Jakob Nielsen said a decade ago, "The basic point about the web is that it is not an advertising medium. The web is not a selling medium; it is a buying medium. It is user-controlled, so the user controls, the user experiences." As Techdirt summarizes in Advertising Is Content; Content Is Advertising, helpful content on a business website can advertise that company, and to get noticed, advertising has to offer something to the viewer (ie, content). What Time Is It in England? One of the hassles of the earlier move in Daylight Saving Time, besides a four-year-old's inability to adjust to it (it's still dark at 6:15 a.m.!) is that I have no idea what time it is in other parts of the world. Other countries change to Daylight Saving Time on different dates. This time and date converter lets me know that CURRENTLY, it's a four-hour difference between New York and London. In a couple weeks (March 30, 2008), it'll be back to a five-hour difference. "As the U.S. population ages and the number of people reaching traditional retirement ages increases, employers need to do more to attract and retain older workers, many of whom are highly experienced, knowledgeable, and skilled. Successful approaches include offering formal and informal phased retirement options and creating flexible work arrangements, such as part-time work, flexible schedules, job sharing, telework arrangements, and snowbird programs. Federal, state, and local governments, as well as nonprofit organizations and post-secondary educational institutions, help older workers find employment and secure job training. They also educate employers about the value of older workers." I just had a birthday, but I'm NOT writing this from the perspective of an "older" worker. Just a "wiser" one. I'm not sure that any of the following items are worthy of their own blog postings, so today, they will share. Reusable bags and totes are hot. So why not make good use of old marketing banners, and get extra revenue and exposure? "Internet users who type two words for on a search engine query account for 31.9 percent of searches worldwide. Three-word phrases are used for 27 percent of searches. A single word accounts for 15.2 percent of queries, and four words are used for 14.8 percent of searches. " For those of your clients who would like to make and maintain contact within their industry but may feel a bit out of place in Facebook or MySpace, the social network arena still appears to be narrowing to a few main players. As much as people who write about these products often make it sound like there is only one reasonable choice: theirs; I'll be interested to see what lasts in the long run and becomes the standard. Will it play out that this is something we really need or will social network sites never replace the usual ways we keep in touch and make new contacts? It seems that whatever social networking program used has to come out of email. It seems silly to me to have to read my email to tell me to go to Facebook to read the message. What for? It has to be integrated - I have enough stuff to check up on with multiple email addresses. I was not aware of VisiblePath but now it sounds like a good solution. Jigsaw is an online directory of business people who offer their complete contact details and in exchange for the contacts they add, will have access to any other contacts in the database. Users can also pay a fee to have access without needing to add names but then are limited to 25 names a month. they have levels of membership with varying access levels. Allows users to build their network of contacts and in turn make introductions. This seems to be used for business only at least by the people I know who are on there. A similar site for hooking up with othe prrofessionals but I've read there are some compatability issues for Mac users but also is supposed to have good security. VisiblePath is supposed to use the tools you already use to illustrate who your true connections are and their proximity to one another. U.S. Treasury’s FCEN and its role in Spitzer's downfall. You were probably unaware of the fact that New York's governor will soon be New York's former governor. Unaware, that is, if you've avoided all news broadcasts, late-night talk shows, newspapers and any personal contact with anyone who reads a newspaper or watches TV over the past few days. Political and personal tragedy aside, I was interested in the mechanism by which Governor Spitzer was caught when I came across How an information system helped nail Eliot Spitzer and a prostitution ring. So it appears that tools used to fight terrorism, organized crime and identity theft helped undo him. If you get "The Small Business Advocate" newsletter from SBA's Office of Advocacy (and you've actually read it), then this won't be news to you. Their March 2008 issue features an article called "Trio of New Advocacy Reports". They don't always pertain to the day-to-day activities with our clients, but I find them interesting nonetheless. 1) "The Tax Debts of Small Business Owners in Bankruptcy"
2) "Rural and Urban Establishment Births and Deaths"
3) "Small Business and Micro Business Lending in the U.S., 2005-2006"
Regarding #3, here's one person's take on the real impact of microlending, at least internationally. My stepdaughter is doing a months-long project for school on the state of West Virginia. Part of her assignment is to write a profile on a famous citizen from that state. She chose the famed aviator Chuck Yeager, and we've since been inundated with the minute details of his breaking of the sound barrier in 1947. We at the Research Network recently broke a barrier, though it didn't cause a boom or any other noise. For years, when giving tours of the library to guests, I'd state that we spent, on average, about 1.25 hours per request. I repeated that statistic so often that I began to wonder whether it was just a tale I heard around the campfire when I was new here. I expect the two-hours-per-request to become the standard. We don't mind the challenge. But as long as we have just the four of us, then expect the number of requests done per day to slowly go down. There's only so much time in the day. Again . . . use your best judgment when to use us. This month, we'll be looking at FREE LOVE, which is all about the ongoing rise of 'free stuff', and the brands already making the most it. Not to mention the millions of consumers who are happily getting into a free-for-all mindset. Absorb and apply! Ben Ropp, former Research Network intern, recommends these two articles of recent interest in the "Business 2.0" category. "Look past the yakkers, hobbyists, and political mobs. Your customers and rivals are figuring blogs out. Our advice: Catch up...or catch you later." From Business Week. By Chris Anderson. From Wired. We have sports coaches, life coaches, career coaches, and now- garden coaches? I recently saw a blurb in Newsweek about garden coaches - consultants who will advise you on your gardening needs, teach you some techniques and help first time gardeners get their feet off the ground (or in this case, their hands in the dirt). If you're looking for more business-related information on gardening and gardeners, check out the National Gardening Association . There's good market research about home gardeners, organic gardening, and lawn and landscaping services. The test consists of 20 questions from four areas; the last grouping is audible recognition, so I hope you have your sound on your computers. I got 18 out of 20, but misread one of the questions or I would have gotten 19. How did YOU do?